Your pet will love this cozy hide-away! turn your metal dog crate into a comfortable bedroom! a baby in a crib. The dog bed/crate pad is reversible for double the use. Veterinarian approved and trainer recommended. Prevents dog crate sores and entrapped paws. Prevents permanent tooth damage caused by chewing on metal. 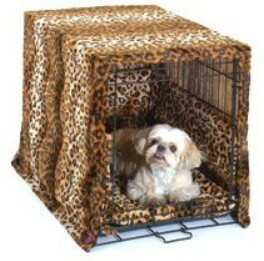 Stylish Dog Crate Covers reduce barking and stress. Pet Dreams is the only company that makes quality, durable, quilted bumpers 11 to 15 high.